Wait I thought Mi Sueno just raced recently-ish?? 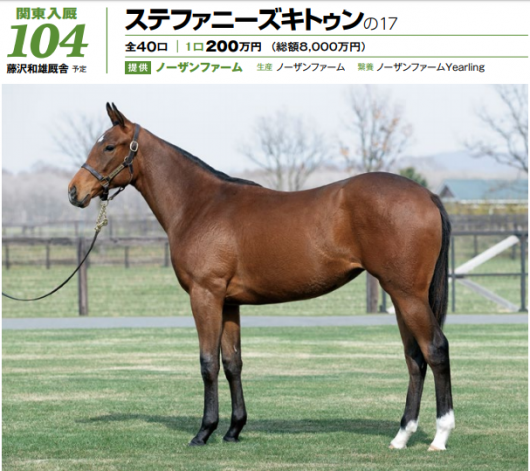 Very VERY excited to see a Harmonious x Deep Impact foal though!!! ETA: Whoops. Obvs I mixed up Mi Suerte with her dam. Last edited by lurkey mclurker on Sat Dec 16, 2017 1:23 pm, edited 1 time in total. Last edited by tachyon on Fri Dec 15, 2017 10:35 pm, edited 1 time in total. When will we ever see a pic of Stephanie's Kitten's foal??? mariasmon wrote: When will we ever see a pic of Stephanie's Kitten's foal??? I haven't found absolutely anything on her 2017 filly foal yet. Last edited by tachyon on Sun Dec 10, 2017 8:49 am, edited 1 time in total. Last edited by tachyon on Fri Dec 15, 2017 10:38 pm, edited 1 time in total. Didn’t realize Watsdachances and Sheer Drama were there! Edited above lists to add Egg Drop(USA)(2009), Sabor a Triunfo(CHI)(2009), Heir Kitty(USA)(2010) and Kirramosa(NZ)(2010). Wonder if some daredevil breeder will tempt the Gods...and breed Egg Drop to Gold Ship. BaroqueAgain1 wrote: Wonder if some daredevil breeder will tempt the Gods...and breed Egg Drop to Gold Ship. It'll be the first racehorse to need 4 handlers in the parade ring! But it'll be such a pretty baby! LOL you'd end up with some in-your-pocket candy muncher who begs for tongue pulls and its fastest pace would be a slow walk. starrydreamer wrote: But it'll be such a pretty baby! Here's the pic of Stephanie's Kitten's 2017 filly (by Deep Impact). She will be trained by Kazuo Fujisawa.